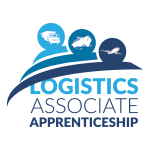 The Logistics Associate Apprenticeship was born of the need to address the Skills shortage within the Irish Freight, Logistics, Shipping and Distribution industries. As the economy grows, there is an increasing need to fill these skilled and knowledgeable roles. Representatives Associations and Employers from across these sectors collaborated to develop a programme to meet the needs and requirements of Businesses at both Multi-National to SME level. Industry specific knowledge is delivered to Apprentices, focusing on core modules (hyper-link to Apprenticeship page wish lists Year 1 and Year 2 content) and providing a broad understanding of the industry and working relationship across each sector. Choosing to take on Apprentices can bring benefits to Business in many forms such as fresh enthusiasm with new Employees, entering with new skillsets and fresh perspectives. Apprenticeships can also increase staff levels with the benefit of lower recruitment costs and leading to professionally qualified staff at the end of the programme, with a culture of professional development. What is required for an Employer to provide for an Apprenticeship? Employers wishing to proceed to provide an Apprenticeship placement should contact the Freight Transport Association of Ireland (FTAI) to register their interest and complete a short assessment, outlining the requirements of the Programme. FTAI will then arrange for a SOLAS Authorisation Officer from the Employer’s area to visit the workplace and complete a short Employer Suitability to Train Apprentices Form.